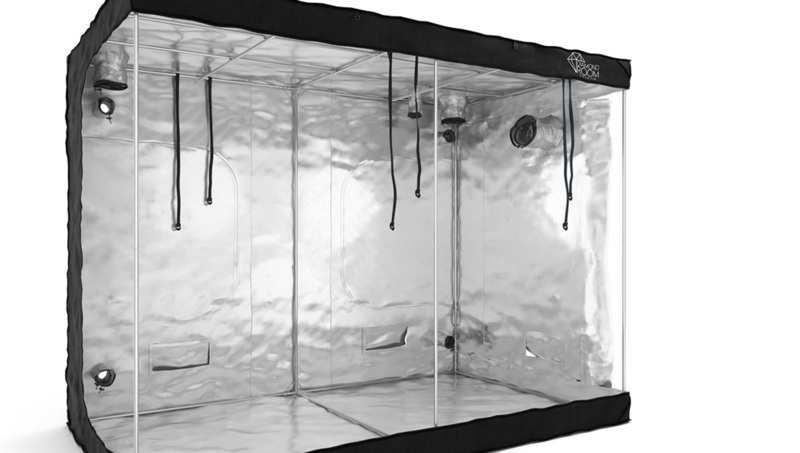 Growboxes from the classic series are the most popular choice among growers. These tents are a pefect selection for those who search for both quality and good price. Tents from the PREMIUM series are characterized by the highest quality of materials and durability. Tubes with a diameter of 22mm and the thickest Mylar available (1600D) will ensure comfort and safety for you and your plants. Tents from the HIGH series have been specially designed to support growers that loves tall plants (over 2 meters high). Well thought design and good quality construction provides stability even when heavy equipment is installed. The thickest material available on the market Mylar 1680D provides stability and security of your secret harvest. Premium materials ensure 100% of light proof for your grow room, no matter what kind of lighting you are using. Thick material used in all of our tents permeable low odor outside of your grow area. Stalowe łączniki oraz dodatkowy wspornik zapewniają dużą ność i stabilność namiotów RoyalRoom. Zastosowany materiał w namiotach RoyalRoom nadaję się do prania ­ utrzymaj świeżość swojego grow room’a! The edges are protected by an additional layer of material. You can repeatedly folded out your tent! Zmontuj RoyalRoom’a w kilkanaście minut, bez żadnych narzędzi! Series High enable you to grow plants that are higher than 200 cm! Now you can grow bigger ! Convenient location of the vent-holes provides a comfortable ventilation set-up. Podwójna ściągacze umożliwiają szczelną wentylację pomieszczeń RoyalRoom. A specially designed zipper guarantees 100% light-tightness of the tent, and comfort of opening / folding. Velcro windows allow passive ventilation in your grow room. Each offered tent is covered by a 36 month warranty! The RoyalRoom brand has for years been selling specialist equipment for growing plants indoors. After years of gaining experience in sales, RoyalRoom can be proud of its excellent reputation and trust. RoyalRoom offers extended guarantee for all products. Therefore, even the most demanding customer will enjoy quality and good pricing. 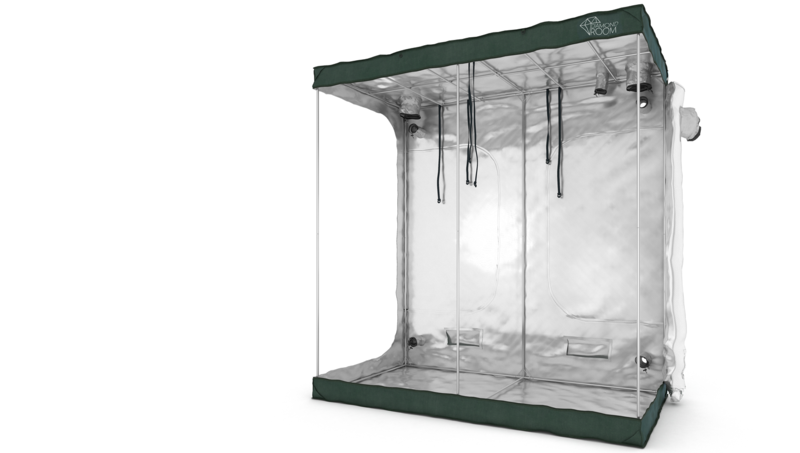 All growboxes offered by RoyalRoom are top quality tents for growing plants indoors. They are made with care, out of best materials. RoyalRoom offer serves both professional growers and those who are just starting their adventure with growing plants at home. Growboxes are equipped with a stable frame and made of durable material, ensuring the plants grown inside stable and optimal conditions for growth and blooming. Moreover well distributed vent-holes allow you to mount cool tubes, ventilation systems with carbon filters and many more. 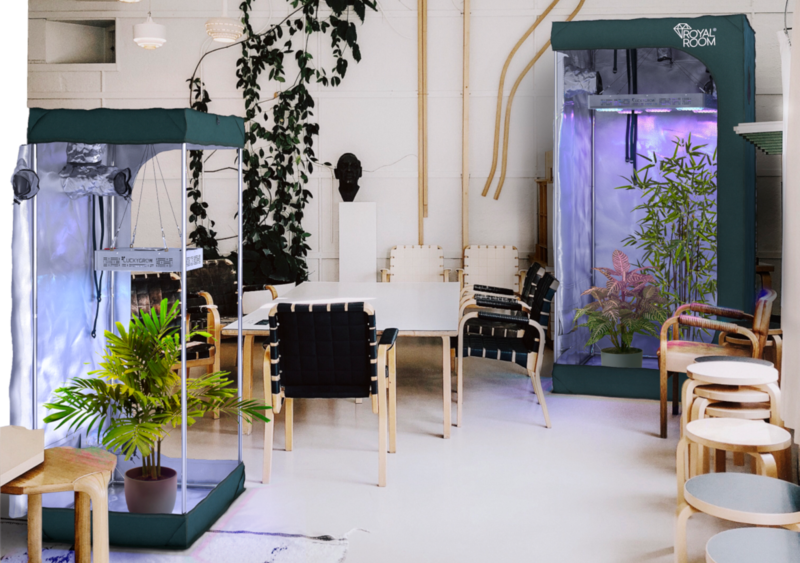 While going deeper into the subject of home plant cultivation, you may be mistakenly convinced that a specialist growbox can be made by yourself. Nothing could be more wrong.rnCutting pipes and sewing material precisely is a very hard task, without specialist equipment it is not possible.rnReady-to-assemble growboxes offered by RoyalRoom are prepared for easy mount. Even one person can handle the assembly process. RoyalRoom tents are made of the highest quality material, durable, reflecting light in 95%, completely light-tight and odor-proof. The whole tent is built on a stable structure (frame), and reinforced connectors. The floor, ventilation openings and a zipper that allows you to get inside the tent are also properly secured. All this allows easier, more comfortable and hassle-free use of our growboxes.